Traveling with your pet can be challenging and we strive to simplify the process as much as possible. Requirements for travel vary, depending on your destination and your means of transportation. Travel to other countries with your pet can be complex. The international requirements can change without notice. Our veterinarians are specially accredited to provide health certificates for your pet. 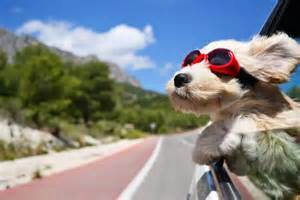 Ahwatukee Animal Care Hospital offers health certificates for both interstate and international travel. Our staff will take time to discuss exactly what you need in order to facilitate your trip as much as possible. An examination is required within 10 days of travel and the certificates are valid for 14 days. 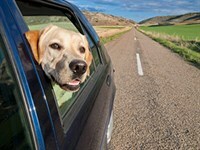 When traveling internationally with your pet, it is important that we know where and when you are planning to travel. We appreciate your patience when arranging for travel outside the USA, as requirements can vary greatly. We will make all reasonable efforts to obtain the correct information for your trip; however, it is always best for you to do additional research. We recommend contacting the USDA AHIS website and select the state you want for import requirements or the consulate of the country of destination in order to ensure you have up-to-date and accurate information. We hope you and your pet have a great trip! Please stop in to discuss your travel plans. Please call our friendly staff in order to obtain information relative to the requirements for your particular situation.